Your TDEE, or total daily energy expenditure, is a great way to determine your fat loss and muscle-building potential. If you’ve been spending hours working out or doing cardio and feel like you’re not improving, and if you’ve been keeping a steady diet, you might need to know your TDEE to increase your chance for success. 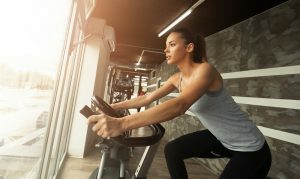 A fitness trainer in Phoenix, AZ, at Mountainside Fitness can help you reach your fitness goals, but before they can do so, you should calculate your TDEE. Here’s how it works and what to do with your information. The total daily energy expenditure calculator determines how many calories you burn per day. Unlike the body mass index, or BMI, calculator, the TDEE is more complex and can help you accurately determine how to proceed with your fitness goals. While your BMI helps determine how much of your body consists of fat, the TDEE calculator helps you understand how many calories you burn while at rest and while exercising. Here’s how to calculate it: Just combine your gender, age, height, and weight with a figure indicating your daily activity level, as well as the frequency and intensity of your workouts. Altogether, the total will show you how many calories you burn in a day. So, what’s the big deal about this figure? Once you have your number, you’ll be able to determine how to make dietary changes based on your fitness goals. If you have a fitness membership or looking to get one, and are hoping to build muscle mass, then you can use your TDEE figure to determine how much you should be consuming. You should consume more calories per day than you burn if you want to grow. However, if you’re visiting the fitness center regularly with the intention of losing weight, then you need to be consuming less energy than your body produces daily. What if you’re happy with your current weight and fitness level? Then you still need to work to maintain it. Use the TDEE and try to match energy consumption with expenditure. While the TDEE can be used to help you achieve your workout goals, you can’t do it alone. Even if you attend a fitness regularly, using weights, cardio equipment, the swimming pool, or even class sessions to improve your fitness, you still need guidance. That’s what a trainer is for. Personal Trainers can help you understand how you should change your nutrition habits to adequately fuel your body to match your fitness goals. Visit Mountainside Fitness to meet with a fitness trainer in Phoenix, AZ, that can help you understand how to adjust your diet based on your TDEE to achieve muscle gain, weight loss, toning, or whatever it is you dream of doing with your fitness membership. A trainer can even help you adjust as your TDEE changes. Your TDEE figure will change as you get in better shape, and you’ll need a trainer to help you adjust your diet or fitness habits accordingly.